AEL provides behind-the-scenes tours of our landfill to students and groups. Participants can see the number one rated landfill in Oklahoma in action and how we go about meeting strict environmental protection guidelines. Groups can also see how we convert trash to energy plus the different ways the landfill reuses and recycles to benefit our environment. To learn more about landfills and how they positively affect the environment download the “How a Landfill Works” and the “Landfill Presentation” brochures below. Download the “How a Landfill Works” Brochure here. 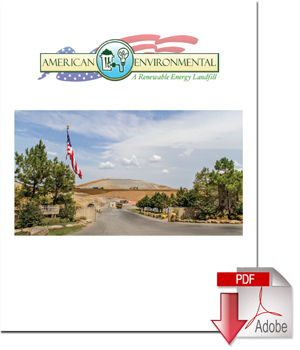 Download the “Landfill Presentation” Brochure here.